Grocery shopping with a child usually means ending up with a few items in your cart that wouldn’t have made it there if you had gone solo. Kids may be small, but their influence is anything but -- especially in the eyes of marketers. Indeed, a Packaged Facts report reveals that more than a quarter of parents (26%) learn about a new product as a request from their child. Targeting children age six and older is especially important to marketers; it’s the age where lifelong dietary habits and brand loyalty begins. To ultimately capture their future loyalty, marketers will have to focus on developing products that appeal to younger kids. So how are industry players taking on the challenge? According to the new report, Kids Food and Beverage Market in the U.S., 8th Edition, three trends are currently shaping the kids food market. Millennial parents -- who accounted for some 42% of all households with children last year -- have a big influence on the U.S. retail food sector. Industry players are taking into account the millennial mindset toward spending. They might have a tighter budget, but the authenticity-loving group is willing to spend more on items and services they perceive as being higher quality. Natural foods that are free of artificial ingredients are especially loved by millennial moms. And even better if the healthier foods are affordable. As the population of multicultural children continues to grow, it’s become more important to marketers to be able to effectively communicate with and target children across the cultural spectrum. A big part of reaching multicultural families is understanding their traditional cultural values. Families values, especially, should be understood by industry players in order to appeal to the multicultural consumer and their kids. This could mean taking into consideration that extended family such as aunts, uncles, or grandparents might be doing the purchasing. For adults as well as kids in the U.S., obesity numbers have been on the rise over the past 20 years. Improving kids health and nutrition means marketers will have to double as advocates of kids’ health. 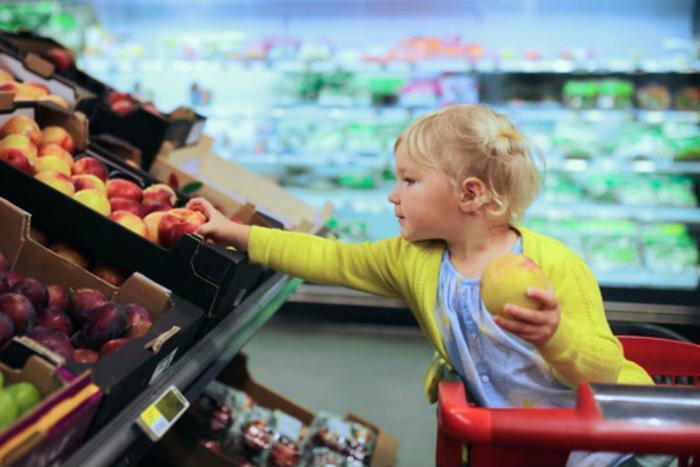 The stealth health movement -- where fruits and veggies are hidden in kid-friendly foods such as pasta, pizza, and desserts -- is one way to help kids meet daily nutritional requirements. Parents and marketers alike are feeling the positive effects of helping to increase kids’ fruit and vegetable intake.